If you’ve been stalling on getting into the fun hobby of drone photography, DJI has come up with another reason not to. 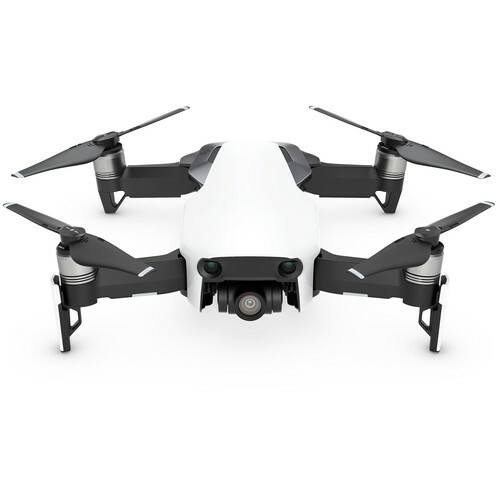 Its new Mavic Air combines some of the very best features of the amazingly-popular Mavic Pro with the diminutive Spark. I’ve written up our first impressions over at ExtremeTech. For serious photographers, I think the Mavic Pro still offers some big advantages, like more flight time, faster lens, and possibly more support for advanced video modes like D-Log (although the Air might also support those). Most of the fancy photography features of the new Air will help you get started quickly, but won’t do much for those of us who already shoot RAW and use Litchi for our panoramas. The 32MP built-in panorama mode certainly isn’t a match for custom panos like the one below I built out of 46 RAW images using Photoshop and Hugin. But for $799 a smaller version of the Mavic Pro is a welcome addition to the DJI line for anyone who has been on the fence about taking the plunge!